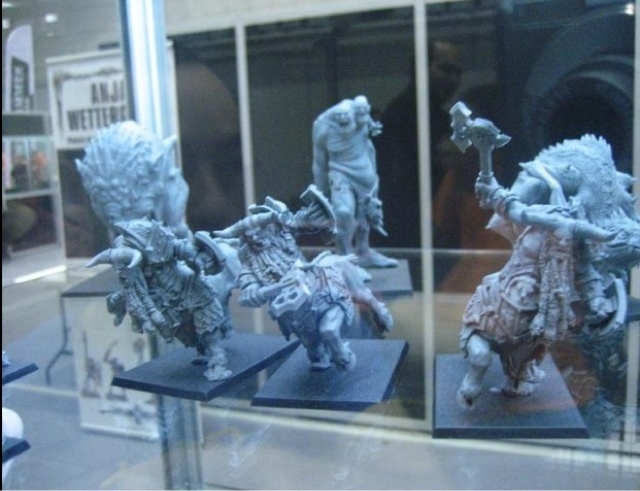 Just seen a picture of the new Chaos Dwarf Bull Centaurs. It looks like they are on 50x75 bases. The guy on the right looks bigger and chunkier so I would assume that's the hero. Hmm...tantalising! I thought the bull centaurs would have been on 40x40 bases, lucky I hadn't started a unit yet.